​Shiite rebels have seized Yemen’s third largest city, Taiz, officials said after the US announced the evacuation of remaining special forces that were involved in a drone campaign against Al-Qaeda. The Yemeni president is appealing to the UN for help. Amid escalating violence that threatens to engulf the country, Washington announced it would evacuate its remaining personnel from the country, including about 100 special operations forces that had been waging unmanned drone strikes against Al-Qaeda militants in the region. Reuters, citing national security sources, said the last major US military contingent had been stationed at the al-Annad air base in southern Yemen, while the unmanned drones fly out of a US military base in bordering Saudi Arabia. State Department spokesman Jeff Rathke said all remaining US staff had been "temporarily relocated" and emphasized Washington would "continue to actively monitor terrorist threats emanating from Yemen and ... take action to disrupt continuing, imminent threats to the United States". 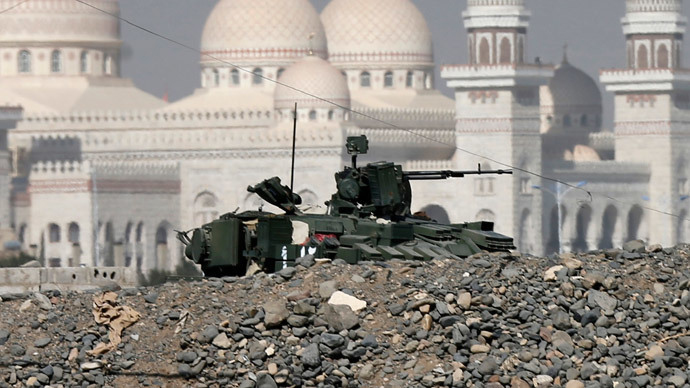 The US pullout comes as Yemen officials said rebels from the Ansar Allah movement had seized the country's third largest city, Taiz, in the south of Yemen. Residents said the rebels seized the city's military airport and military base from local authorities late on Saturday. 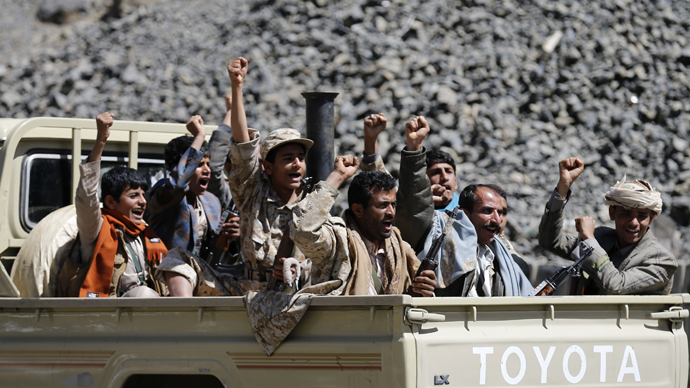 At the same time, Houthi rebels who control Sanaa, the country's capital, announced general mobilization. The US embassy last month closed its operations in Sanaa after the Houthis took command of the capital, leading to a situation where two rival governments in the north and south are competing for power. The Houthis say they are fighting in order to stop the spread of Salifism, the adherents of which command a strict observance of Islamic teaching. Speaking from the port city of Aden, Yemeni President Abd-Rabbu Mansour Hadi has called on Houthis Shiite rebels to relinquish Sanaa, which was taken last year, together with weapons and supplies taken from the army, Reuters reported. In an impassioned plea to the 15-member UN Security Council, Hadi called for a resolution to "deter the Houthi militias and their allies” in order to “stop their aggression…and to support the legitimate authority." The Security Council will hold an emergency meeting on Sunday to discuss the deteriorating situation in Yemen. UN Special Adviser on Yemen, Jamal Benomar, is expected to brief the council on Sunday via video link, according to diplomats, adding the Security Council was planning to negotiate a statement on Yemen. Violence continues to wrack the embattled country. On Friday, a string of suicide bombings at Shiite Huthi mosques, claimed by the Sunni Islamic State group, killed 142 people, while unidentified fighter jets have targeted Hadi’s Aden offices in recent days.